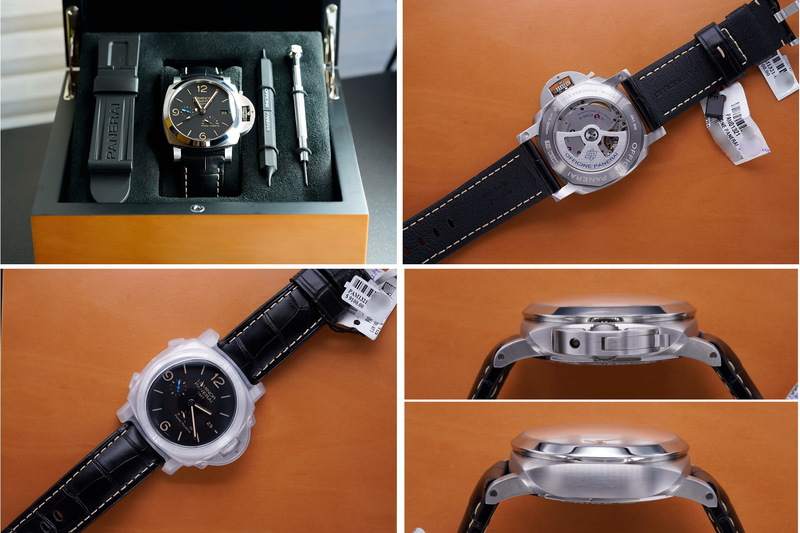 AISI 316L STAINLESS STEEL "AISI 316L 1.4435 stainless steel is Officine Panerai’s material par excellence since it is highly resistant to corrosion and is hypoallergenic, making it ideal for contact with the skin. 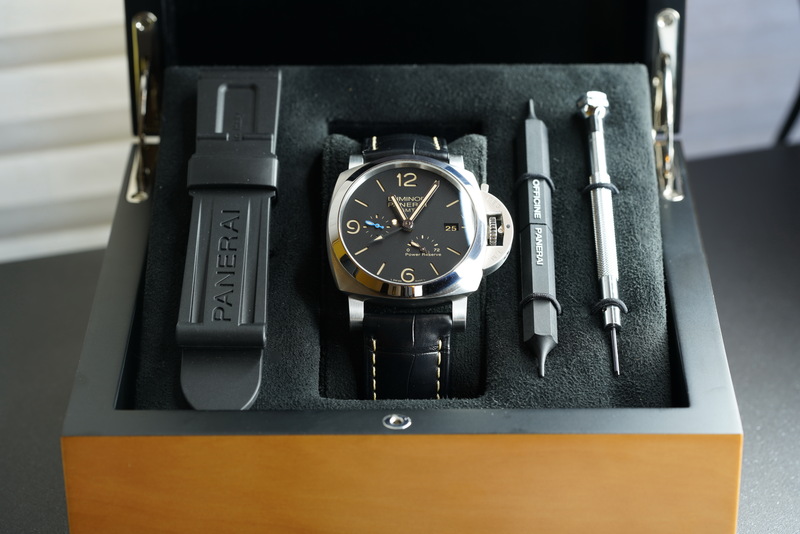 The Panerai watches created for the Italian Navy were made of austenitic stainless steel, a reliable material that was also resistant to the extreme environmental conditions in which the commandos operated." 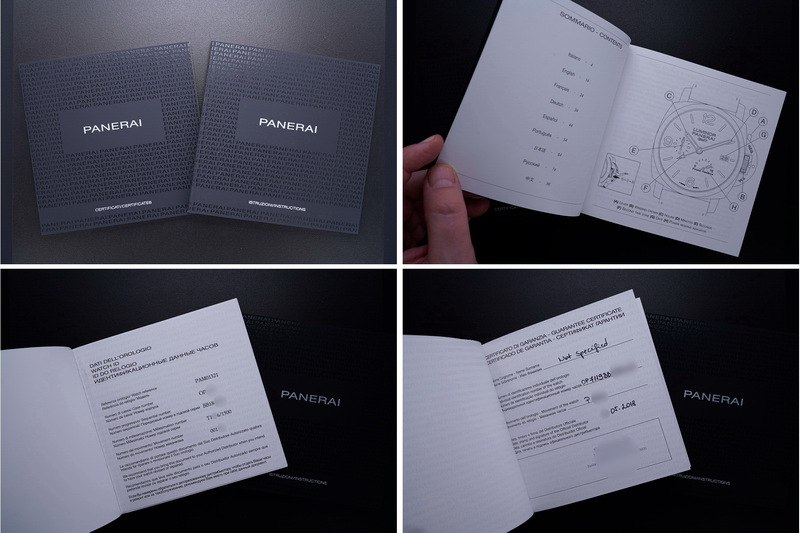 The Panerai watches created for the Italian Navy were made of austenitic stainless steel, a reliable material that was also resistant to the extreme environmental conditions in which the commandos operated." Panerai's In-House P.9012 Calibre Movement with 3-Day Reserve, 6.0 mm thick, 31 jewels, Glucydur® balance, 28,800 alternations per hour. Incabloc® anti-shock device. Seconds reset device. Power reserve 3 days, two barrels. 31 components. 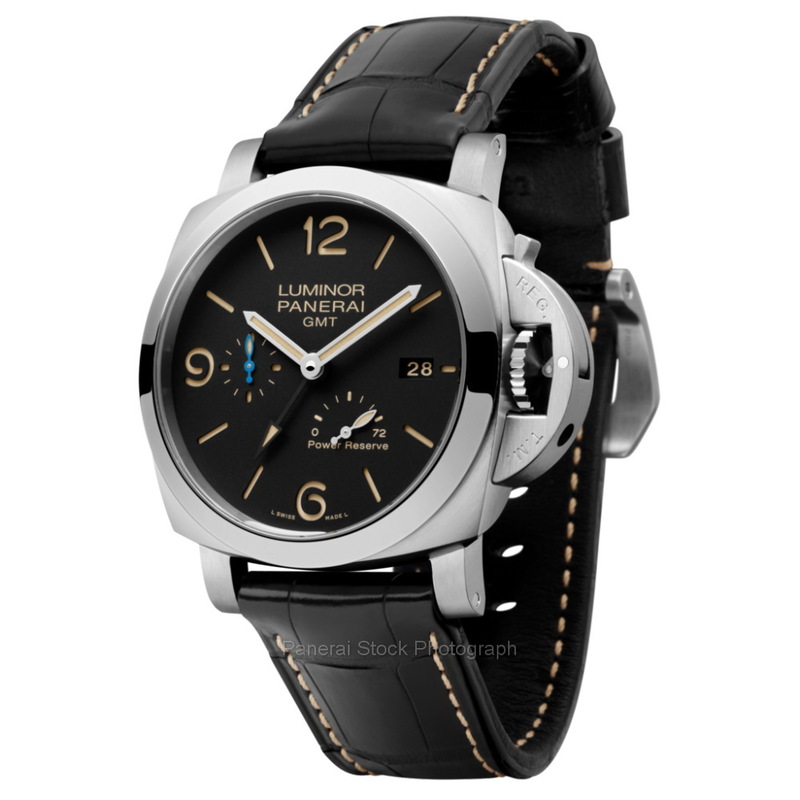 The automatic P.9012 caliber, entirely developed and created in the Panerai Manufacture in Neuchâtel, has central hour and minute hands, the small seconds dial at 9 o’clock and the date at 3 o’clock. 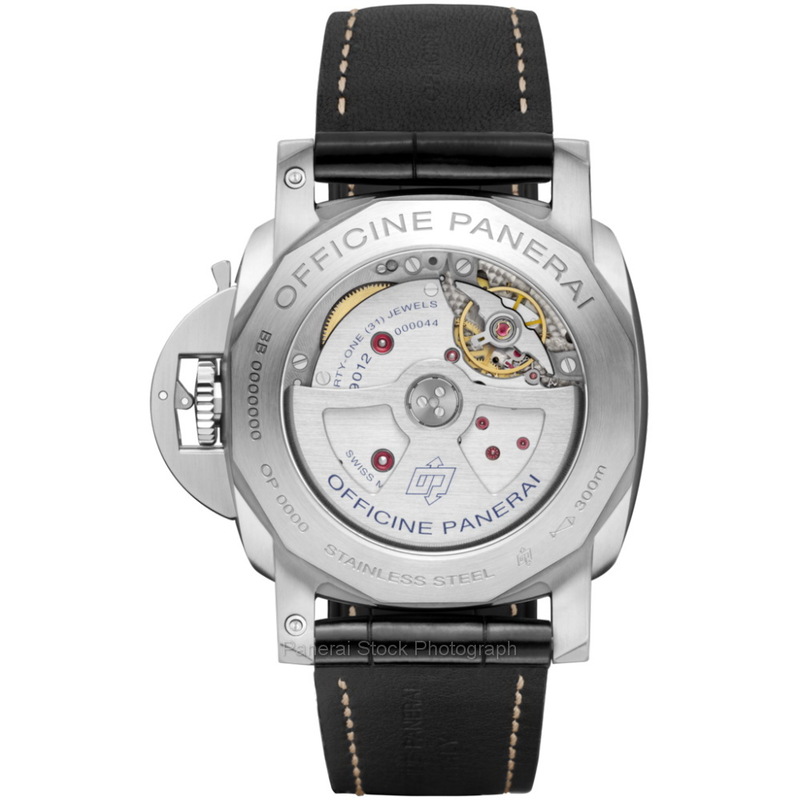 The energy necessary to accumulate a power reserve of three days – the basic standard for Panerai in-house movements – is stored in two spring barrels whose springs are wound by an oscillating weight operating in both directions. Consisting of 200 components including 31 jewels, the calibre has a diameter of 13¾ lignes and it is 6 mm thick. The balance, fixed by a bridge with twin supports, oscillates at a frequency of 28,800 vibrations per hour (4 Hz). It is associated with the device which stops it as soon as the winding crown is pulled out, enabling the watch to be perfectly synchronized with a reference signal. In the P.9010 calibre the hours can be conveniently adjusted without interfering with the movement of the minute hand, thanks to the device which directly moves only the relative hand in jumps of one hour forward or backward. This function is very useful when changing time zones or moving between summer time and winter time, and conveniently the adjustment of the hour hand is automatically connected to the date indicator. 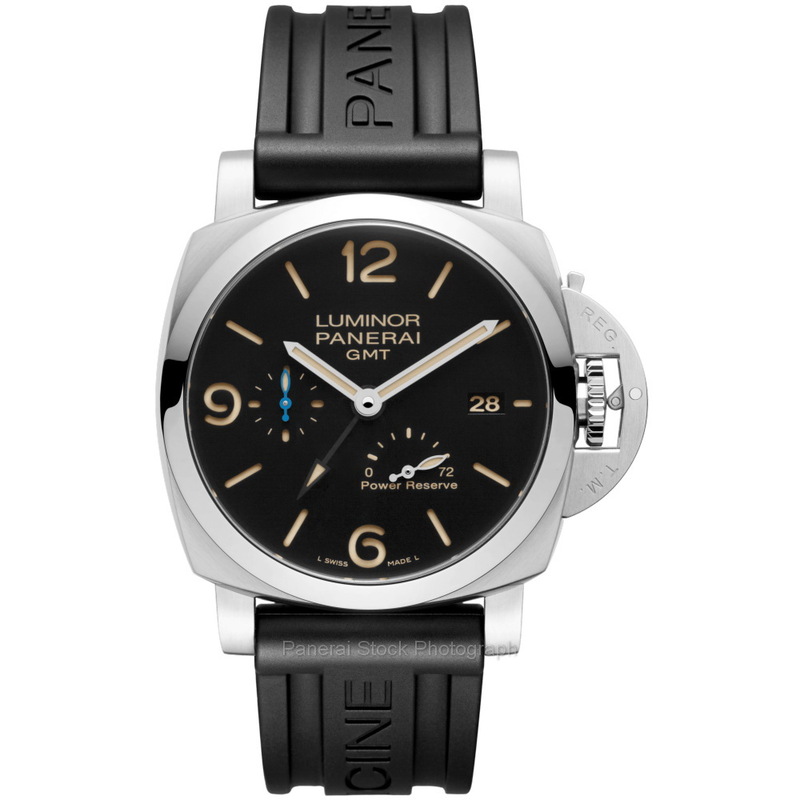 THE P.9012 MOVEMENT "The Luminor Marina, one of the world’s best-loved Panerai models, is updated by the P.9010 automatic movement, with a power reserve of three days. High-quality technical content and subtly redesigned proportions have reduced the thickness and weight of these watches." 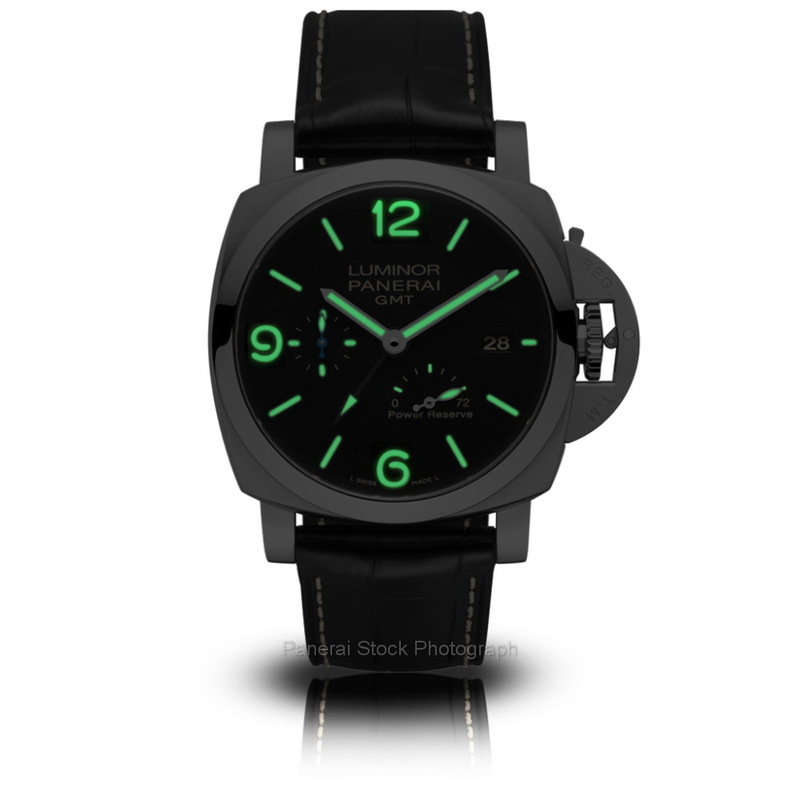 Sandwich Lume "Dirty" Dial. 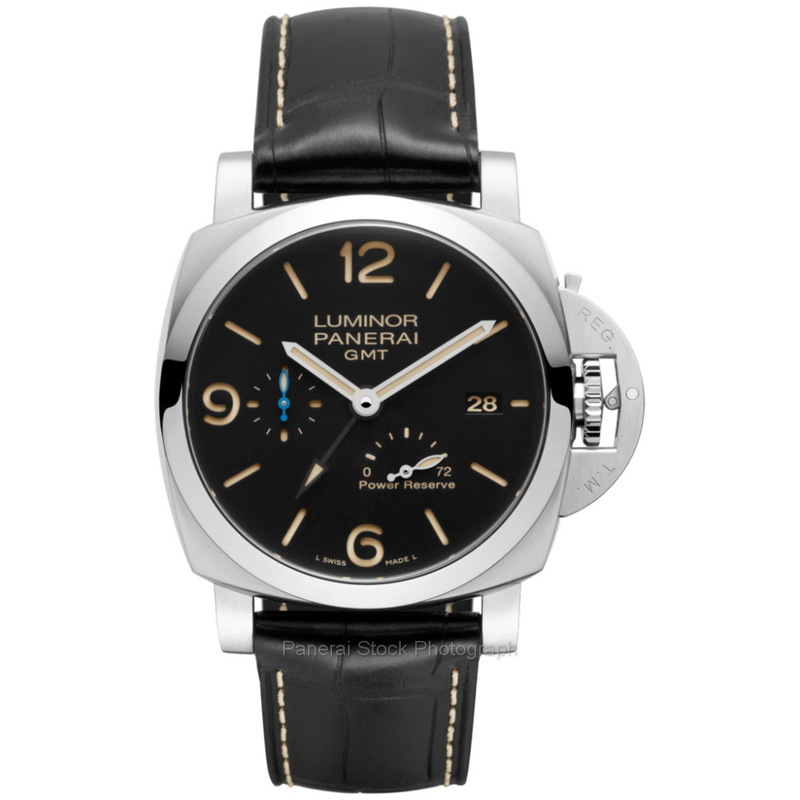 Black with luminous Arabic numerals and hour markers. Date at 3 o'clock and small seconds at 9 o'clock, power reserve indicator at 5 o’clock. Condition: 99+% Condition: Looks to have never ever been worn.